A Chief Magistrate’s Court in Ebute-Metta, presided over by Magistrate A. O. Salawu, yesterday ordered that dismissed Police Inspector, Olalekan Ogunyemi, charged for alleged murder of a football fan, Kolade Johnson, be remanded at Ikoyi Prisons, pending advice from the Lagos State Director of Public Prosecutions (DPP), following an application filed against him by the Police. The Lagos State Police Command arraigned Olalekan barely 24 hours after he was dismissed for his alleged complicity in the killing of Johnson. The prosecution counsel, Kehinde Olatunde, a Police Inspector, informed the court that the defendant committed the offence on March 31 at about 5:10pm at Onipetesi Estate, Idi-Mangoro, Lagos. He told the court that the defendant, who served in the Anti-Cultism Unit of the Command, allegedly shot Johnson, a 36-year-old father of one to death. Olalekan, who resides at 17, Alhaji Ede Street, Igando was docked, but his plea was not taken, because magistrates’ courts don’t have jurisdiction on murder cases. Olatunde further informed the court that he had a remand application order by the Police to remand the defendant for 30 days, noting that his offences contravened Section 223 of the Criminal Law of Lagos State, 2015. The defence counsel, Sola Adeyemi, opposed the 30-day remand request by the prosecutor, urging the court to remand the defendant for the next 14 days. Magistrate Salawu upheld the prosecution’s application, ruling that he (Olalekan) should be remanded for 30 days and subsequently adjourned until May 6, this year. This comes just as scores of youths in Ondo State, under the aegis of Social Intervention Advocacy Foundation (SIAF), popularly known as “End-SARS Police Movement,” have decried the incessant killings of citizens by personnel of the Nigeria Police Force (NPF). Johnson was allegedly shot dead on Sunday by the police officer while he was watching a televised football match. 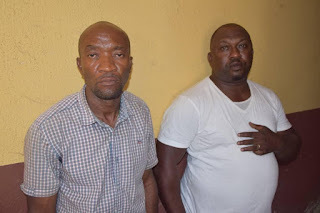 The Command’s Police Public Relations Officer, Bala Elkanah, on Thursday said Olalekan and one Sergeant Godwin Orji were apprehended following the incident and were subjected to Orderly Room Trial, during which five witnesses gave testimonies in the case. Olalekan and Orji were tried on three counts bordering on discreditable conduct, unlawful exercise of authority, as well as action contrary to the Police Act and Regulations. The Police during the trial found Olalekan guilty of discreditable conduct by “shooting and killing Kolade Johnson,” among other offences, and was subsequently awarded the punishment of dismissal from service and prosecution, while the Command said there was no evidence linking Orji, a Sergeant, to the shooting; hence he was discharged and acquitted accordingly. The Command handed Olalekan over to the Criminal Investigation Department (CID), Panti for prosecution in court. The Ondo youths, gathered at the Reuben Fasoranti Park in Alagbaka area of Akure, the state capital yesterday at 9:00am, carrying several placards, with the inscriptions, “We are tired of police brutality,” “End SAKS, SACS and SARS now,” “Reform the Nigerian Police,” “We are tired of being killed like cows,” and ‘Our lives are in danger’ among others, decried the recurring killing and brutality of innocent Nigerians by the Police as a result of the cancellation of operational procedures by the Police authority. The state ambassador of the group, Olufemi Fasipe, noted that the operational procedures were negotiated between Police authority and civil society organisations to check the excesses of the Police officers and stem the impunity of the killer elite squads, at least as a stopgap measure, pending the passage of the Police Reform Bill 2018.